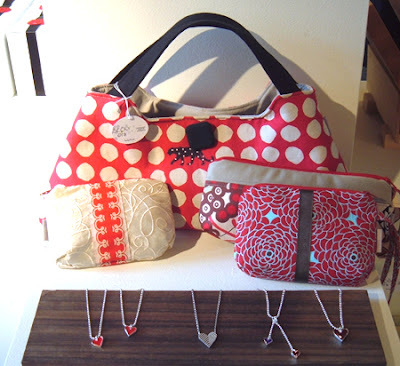 Shown above: fabulous one-of-a-kind handbags by Becky OH! 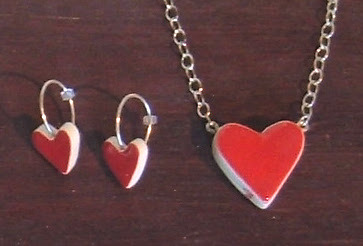 and jewelry designs by Sara du Long. Exhausted by the recent barrage of tiny art in all it's small-scale splendor, Bob extended a thoughtful invitation to a relaxing night out of town. The destination was kept top-secret, the only clues given: that we would sit and watch something in Beantown!? To my surprise he had made arrangements for us to see the Alvin Ailey American Dance Theater at the Wang Center. The Alvin Ailey American Dance Theater grew from the now fabled performance in March 1958, at the 92nd Street Young Men's Hebrew Association in New York. Led by Alvin Ailey and a group of young African-American modern dancers, that performance changed forever the perception of American dance. Today, led by Artistic Director, Judith Jamison, AAADT has gone on to perform for an estimated 21 million people in 48 states and in 71 countries on six continents, including two historic residencies in South Africa. 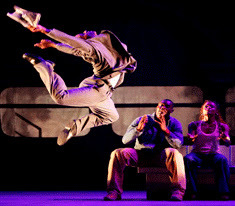 The company has earned a reputation as one of the most acclaimed international ambassadors of American culture, promoting the uniqueness of the African-American cultural experience and the preservation and enrichment of the American modern dance. 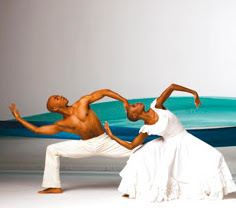 Performances included 'Firebird' (choreographed in 1970), 'The Groove to Nobody's Business' (choreographed in 2007), 'Unfold' (choreographed in 2005) and 'Revelations' (choreographed in 1960 by Alvin Ailey himself).